This site is SICK. At least half the comments are from individuals that are STILL in MK, have been to Seminar, and go to meetings. Are you people really that sick to be involved in something and hate and criticize it at the same time? If you hate it so much (i.e. weren’t successful in MK and are a raving, jealous lunatic) then get a different life (outside of this demented website) and forget about those of us that are successfully helping women who are THANKFUL for an opportunity, any opportunity, that has helped to change their circumstances. My life was changed, and why is that such a problem for you people? Oh, yeah, because you are insane. Women have commented that they placed huge orders and didn’t sell the products because they were too embarrassed to tell anyone about Mayr Kay. Ok, then you are just a bitter, pathetic dumb a$$ for complaining, and for being “talked into buying it” in the first place. What does that say about you? You didn’t have a mind enough of your own to make your own choices NOT to invest, if you had no intention of doing anything with it to begin with? Wow. The deranged, maniacal rantings on this evil-breeding site are just one example of the sickness existing in this world today. Ya’ll need to get over all your anger and hatred, and get over YOURSELVES, before one of you finds yourself in a nut house. Seriously. I was just curious about this site, because I couldn’t believe what I was hearing. Now I am just in shock, but outside of that emotion, completely unaffected by your rantings and evil. This company has been around for more than 50 years. It is solid. IF they were unethical or a MLM, as you call refer to it in your cybergossip, they would have been shut down. How come you don’t attack Avon, or Tupperware? Other successful Direct Marketing companies? Oh, yeah, because you are evil and any mention of GOD scares the crap out of you, and makes you run like scalded dogs. Or perhaps it’s that you were unsuccessful, and need to place blame somewhere other than on yourselves for your failure in the company. You just keep up the good work – and leave room for those of us who are actually successful. I guess they don’t teach “irony” at Seminar. Me thinks the woman doth protest too much……..
Actually, my love of God made me sick at how He was abused and used by too many in MK. The hypocritical NSDs that quoted scripture and lectured us about integrity are the VERY ONES using Mac and shopping at Ulta. As for my success, I did achieve things that most won’t: multiple Cadillacs, stage walks yearly, diamond bar pins, offspring Directors, special invites at all company events, meetings with R & D corporate staff like Yvette Franco, time with Sean Key. But, all of that allowed me more access to being privy to what REALLY happens in MK. I’m not bitter. I’m SO glad I got out. I’m thrilled I use other brands now instead of being a slave to just 1 brand on my face. I am on here to concur with current and former sales force members that they aren’t crazy for feeling what they feel, that cheating IS rampant in all Areas, and that MK robs these people of money. And just another fact: MKI is NOT “solid” as you claim. They’re always way late on launching products to keep up with brands sold at Sephora and Ulta. Their vitamin C squares or their sheet mask ($70 for 4 uses). Late again and again! I’m not in a “nut house”, nor am I mentally unstable. Actually, I’m more stable, happier, and less doubtful of my choices now than even at the peak of my time in MK because I’m out. Just jam-packed full of fallacious gobbledygook. Only have time for one this morning. Bernie Madoff founded his securities investment firm in 1960. He was the Chairman until his arrest in 2008. 48 years. He’s now serving 150 years in Federal prison. Longevity of MK Corp. is a meaningless fallacy. I’m not sure she meant that to be as amusing as it was. Imagine how embarrassing this rant will be when she comes to inevitable end of her Mary Kay career and starts to question it… Even if she sticks to it right to the end, the money has to run out eventually, and that means no more events, no more indoctrination, and a lot of problems to distract one from the pink fog. 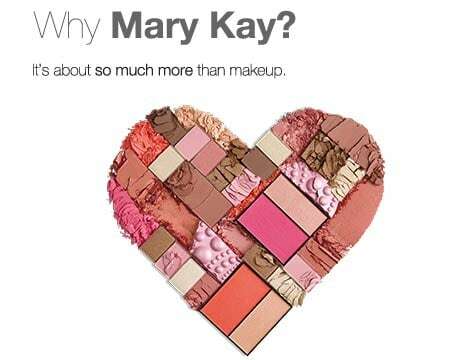 My question is: where does she get that “half of the commenters are still in Mary Kay”? Most of them that I see are FORMER Mary Kay reps, not active ones. Many are just sharing their experience. It’s another example of someone who only glances at things and doesn’t fully open her eyes to what is really happening. Wow, what a classy broad. Hey lady, how about proving how successful you are? Let me guess – you are a Red Jacket and think that you are going to keep moving up, up, up! Get ready for a shock because you will be in debt within 3 months. The new Applause and Look book reflect how “solid” MK is…in its past. Only 6 cheek colors? Still decades-old mineral eye colors with shimmer everywhere? Just the product offerings alone make MK weaker than this chick believes. Poor thing. I bet she still thinks Tupeprware has no competition, either. ‘Eh, to people like this who rant I say:’Keep coming back because it works!’ Eventually the proverbial ‘nickel will drop’ and you will know what is being communicated at this site. If you find yourself able to engage in your MK activities initially without ordering inventory the first month, source leads and orders from MK ‘parties’ that generate customers willing to place enough orders to equal the lowest amount onward needed to place your minimum monthly orders to continue as an active consultant with full discount privileges and keep on doing it while putting your earnings back into the beginnings of the items your customers are most likely to reorder then ‘go for it!’ But, the reality is factors related to the market for cosmetics and toiletries means demand will remain ‘spotty’ at best. Consistency of honest direct sales to end users-your customers will be slow at best. Are you looking to replace a less than satisfactory employment/income earnings situation because for whatever reason ‘gainful employment’ equal to or greater than your local cost of living is not immediately available and you think MK is a ‘quick fix’ for your troubles? Well, guess what? The creator of this site along with those of us with least to greatest involvement with MK and even other MLMs are here to let you know the truth about MK and others which have been effectively allowed by the fact that there is no law that prevents a willing buyer from a willing seller, even one that creates a psychological situation involving your emotions to buy product/inventory when you don’t have a customer base with daily calls ringing your phone/contacting you directly to place orders! Most cosmetics and toiletries users unless they have sensitive skin/allergies are not strict with brand loyalty and the purchases are a highly personal choice with continuous, preferential use predicated on personal satisfaction and a wide range of offerings that change in response to fashion and the science related to the creation of them..
Oh sure, we all find products that work exceptionally well for us as individuals, sometimes using them to the exclusion of others for a time until they either don’t seem to work as well, have been reformulated or are discontinued, but many times we might try samples or testers of products, buy the product/s for a trial to see if it works. With all of the products in the cosmetics and toiletries space, are you aware of the reality of the existing competition for the products an MK consultant truly faces if sound business and ethics practices are applied to the MK opportunity as it is today? Perhaps a little history and info. about MLM bears repeating. If you haven’t heard of the companies mentioned in this article, you can easily look them up. Included are a few additional links at the top as regards William Penn Patrick because the story on him outlined via Wikipedia and the odd link that popped up in my search reveals much of what was shared with me by a man whose wife had been involved with ‘Holiday Magic’ prior to knowing him. She had been among the first to join with her prior beau and they regularly went to Hawaii and other places with William Penn Patrick giving seminars as the business expanded. He was among the first perpetrators of the practices we see in MK today and historically important to know about. Have a great weekend and remember, there are better, sound, legitimate and respected ways to make alot more money with less hassle,expense and heartache than MK and other MLMs like it as practiced today because they all uphold the first rule of sales: ‘Demand creates Supply!’ not the other way around as the article below elucidates! Boy, this question really needs a straight answer, doesn’t it? MLM (aka Multilevel marketing, Relationship Marketing, Network Marketing, Direct Sales) has so many different descriptions and definitions. It makes my head hurt! The labels get too confusing. Perhaps one way to explain it is to compare and contrast MLM with franchises, home businesses, Ponzi schemes, Pyramid selling, scams, frauds, rip-offs, drop shipping, affiliate selling, corporate hierarchies, multi-level referral programs, and much, much, more. But what is the real core of MLM versus any other alternatives? Maybe you can try to quote legal definitions and various court rulings on what is legitimate MLM and what isn’t. Except every country has slightly or vastly different laws, and even then, a law can be changed, can’t it? And what about the gut instincts, the fear of selling, rejection, the hard sell, being pushy. What about the ethics, the morality, the greed, the motives and yes indeed, the money. What does it really come down to in the end? This article below from a revered, multi-million dollar, ‘old-school’ marketer, J.F. (Jim) Straw, finally helped me make sense of the controversy – and the ethics and morality – in MLM. Amid all the ‘noise’ I hope I can help Jim’s clear voice of wisdom to be heard. it became. What it is today. to get a Taco … (you get the picture). facilities, in addition to the cost of the inventory. Multi-Level Marketing As It Was! finally retailers (with varying names for each level; of course). and samples be purchased … up the same levels of distribution. levels to sell more product. directly to the consumer market … in volume … rapidly. sell 10,000 of a product. – The more sales people, the more sales. recruited by those ‘dealers,’ etc., etc., etc. which, if you didn’t sell any, you didn’t earn any commissions. the company’s sales volume was excellent. would be worthless. — A supply alone can not create a demand. consultants discovered that they could sell almost anything ..
simply moved-on to another company. a perceived ‘demand’ that didn’t exist. Full Compliance with the First Law of Business! today. All you have to have is a Multi-Level Marketing Program. the vast majority of the MLM promoters of today). and sells them to the same “mooches” all over again. Multi-Level Marketing programs fail miserably! Could Not Or Would Not Do For Yourself! anything that you either could not or would not do for yourself. when you would be willing to have a baby for her, if you could. You Can’t Even Do That Today! “legitimately priced” for the consumer market. by FAX; and over 100 by e-mail … Guess What? to sell the right to sell the right … ad nauseam. the “opportunity” to sign-up as a dealer. … even if it has a seemingly real product to sell. There Ain’t No Free Lunch! just like the big-boys in MLM told them they would. as ‘proof’ that YOU can make big money in their MLM program. people are only making $10 each (usually spending $50 to do so). the deeper levels he “gives” to you. levels because he gave you his first line sale. just aren’t very many real Multi-Level Marketing companies, today. You Can Get Rich In Multi-Level Marketing! Marketers … like the heavy-hitter have. your customers are really buying. Hype Only Produces Hype Customers! (“mooches” in the vernacular of the industry). My first experience with MLM was wa-a-a-ay back … with William Penn Patrick’s Holiday Magic. At the time, I was selling “Avon” (I was a ding-dong Avon “lady” out in the farm lands of Kansas) at the time. Holiday Magic was as good as Avon but their commissions were better, so I picked up the line. Then, I started getting extra commission checks when some of my satisfied customers bought into the opportunity. In 1978 (or was it 1979), I sold “subscriptions” to the first business opps newsletter sold by MLM. — I just sold subscriptions to a good newsletter … the customers signed up for the opportunity … I was making over $20,000 per month; even after the newsletter quit publishing (which put the company out of business for accepting payment for something they weren’t delivering). The article I wrote was after being approached by literally DOZENS of promoters wanting me to help them create MLM plans for their products. — That’s when I learned what the industry was becoming. — None of them really wanted to sell their products. All they wanted was to “do a MLM” to make some big bucks. — Unfortunately, that experience threw me into personal contact with some of the big name MLM con-men and left a very bad taste in my marketing mouth. I feel the new generation of “opportunity seekers” need to know what they will be dealing with in the vast majority of MLM deals. You can check out Jim’s “Power Tools for Entrepreneurs.” – and MAKE SURE to find and sign-up to his FREE email list. And now you know what to watch out for, here is what I recommend for learning MLM marketing. Sorry but that’s a wildly obnoxious wall of text. No one is going to read that and it’s likely to turn people off if this is their first visit to Pink Truth. Exactly. Way too much, just like the walls of text sent by MK directors.